Data management, machine and system status monitoring. Via Cloud, the future of industrial world. Electronic Solutions for industry. Software and hardware development, production and testing. Electronic controllers for screw compressors management. On/Off and inverter functioning. Multi-unit control systems. Electronic controllers for vacuum pumps management. Tailor-made solutions and services for industrial automation. Developed according to the most innovative market trends, they ensure highest efficiency and competitivness. Since 1994 it offers a wide range of equipment and electronic controllers, designed and produced in Italy. Professionality, flexibility, customer care, product quality, 360° availability. Essential elements to face together the challenge of progress in the complex world of industrial automation. If you are looking for all of these characteristics ... THE SOLUTION IS LOGIKA CONTROL. A complete range of electronic controllers for screw compressors management. Innovative solutions, continuously updating. Electronic controllers for vacuum pumps (industrial and medical field). "Cold chain" requires temperature registration by means of data-loggers certifying the proper storage, transport and distribution of perishable goods (ref. HACCP). Custom electronics, solutions and services for industrial automation responding to customer specifications within a partnership relation. In this section you can download catalogues, technical data sheets, instruction manuals and software. 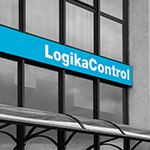 Information, links and contacts of the network companies of Logika Control, selected for specific areas of interest among the best partners. To work with the utmost seriousness, always. Magazine 'I Quaderni dell'Aria Compressa' March 2011 - Ed. Emme.Ci. The message has been sent. Thank you!